For those new to my blog, I have an almost obsessive-compulsion to do a happy dance when NARS releases a new collection. 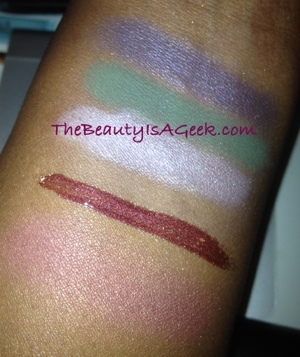 For those who have been reading my blog for quite some time, you’re probably wondering what’s taken me so danged long to post about the NARS Fall 2012 collection. For a quick rundown of all the items, please see my article up on TheStyleAndBeautyDoctor.com (yep, I’m contributing over there as well). I purchased the items I was most interested in once when were available after me stalking appearing on the site. Rouge Tribal Larger Than Life Lipgloss, High Society eye shadow trip and Outlaw blush were purchased by me and are a most welcome addition to my Fall makeup wardrobe. I was quite disappointed that for Fall 2012 Francois Nars did not include one of the lovely matte lip pencils I’ve become addicted to. However, the color of this lipgloss is so gorgeous, so flattering to deep skin tones that I couldn’t help but fall in love with Rouge Tribal. With a vampy burgundy tone with metallic shimmer, it shows up very easily on the lips though there will be some settling in lip lines. Personally I can’t wait to wear this lipgloss with Mekong and Night Star eye shadow singles. Color me so pleased at this cool-toned trio of shades. 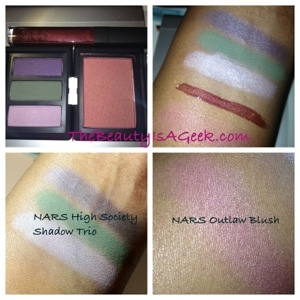 NARS’ High Society eye shadow trio consists of three shades: a light frosty lavender, a matte midtone green (a bit lighter than NARS Fuji eye shadow single) and a deep violet purple shimmer shade. 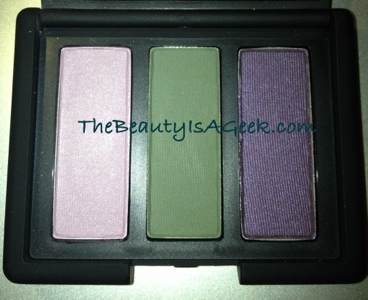 I picked up this trio mainly because as I own the Marie Galante eye shadow duo from the NARS Spring 2012 collection, the two should go together quite well. Color me devastated when I tried to find this color last fall and found out it had been discontinued! 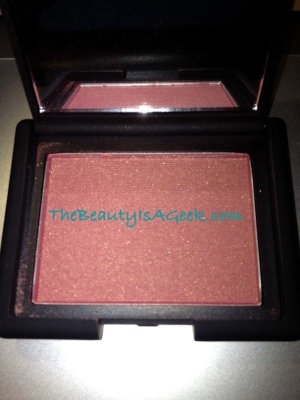 Thankfully NARS had pity on blush addicts like me and re-released this gorgeous rose gold shade. It is lighter than Taos with more of a cool undertone. Like with all NARS blushes the translucent pigments made the color easily buildable on dark skin and does not turn ashy. 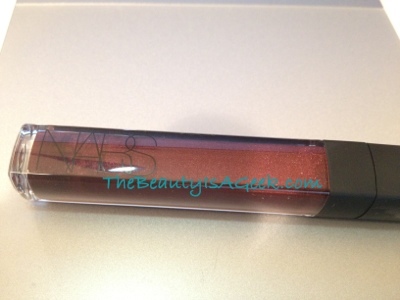 NARS Outlaw Blush has returned for Fall 2012! I plan to start testing these items for wear beginning this week and should have a review up within the next few weeks or so. What I can tell you is that while the eye shadow trio is nice, for me the stars of this release are the Rouge Tribal lipgloss and the Outlaw blush. Budget still crunched? NARS blushes are THE thing to have and considering they also make great eye shadow bases, go for it. The Fall 2012 collection is now available at NARSCosmetics.com and should be appearing on Sephora.com, Nordstrom.com within the next few weeks. 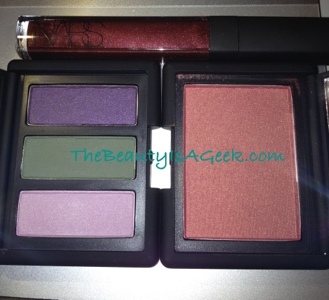 NARS Fall 2012 — Are you feeling it? You bought all the same the items I want from this collection. You mentioned you were disappointed that the NARS did not release a velvet matte lip pencil. However, the lipsticks in Autumn Leaves and Amsterdam are great subs. for the lip pencil.